Hot Water Systems, If you need an installation or you system repaired in the Coffs Harbour area, call us for a FREE quote. As you know hot water in your day to day living is a commodity that we take for granted. Often hot water systems are never serviced, and are only looked at when they break down. At the least your system should be serviced every 5 years. You need to have all the valves replaced and a general service done. This can ensure that a major problem will not occur. It can also help save you money in the long run. The most common call we get is after hours about a system failure, if this happens in the middle of the night or in a busy holiday period. Your family can be without hot water for up to 2 to 3 days. Can I be doing anything to check on my hot water system? A good regular check you can do is release the pressure relief valve. Please find below some handy information from Rheem. A temperature pressure relief valve is installed on storage water heaters. This valve protects the water heater, by relieving pressure and allowing water to escape, as the water inside the cylinder expands due to heating. Not sure where to find this valve? Warning: Never replace the relief valve with one of a higher pressure rating. 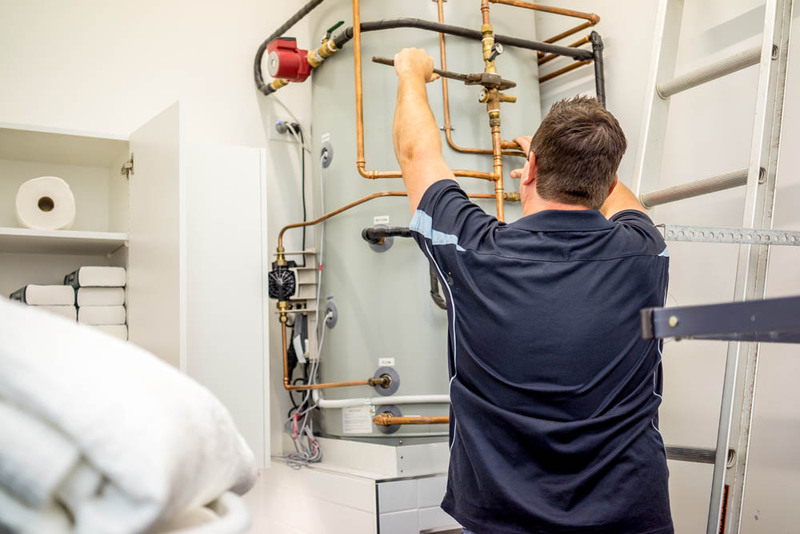 If you would like a repair or service done on your hot water system done in the Coffs Harbour area Click Here.